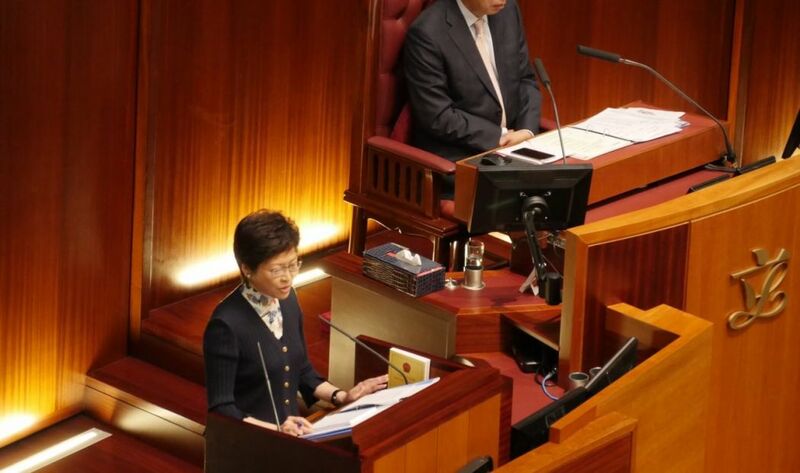 Chief Executive Carrie Lam has suggested subsidising self-financed university students and increasing teaching staff numbers as part of her proposal to spend an additional HK$3.6 billion per year on education. 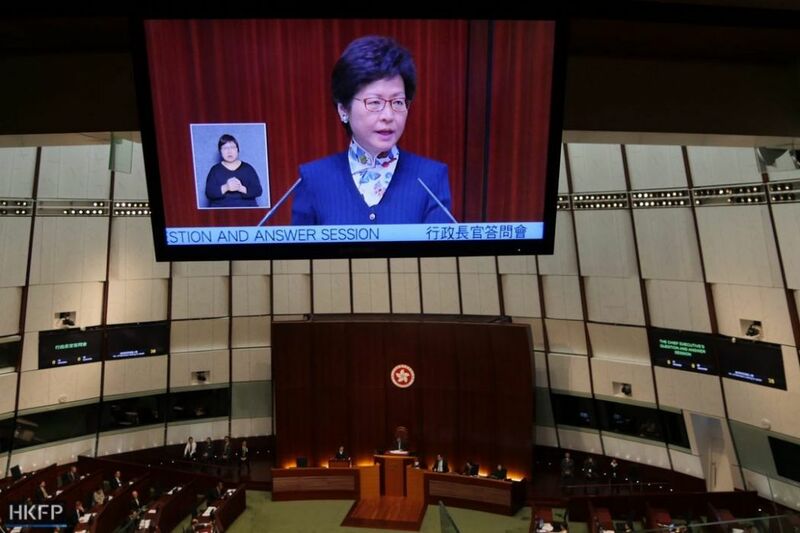 Lam was attending a legislative session on Wednesday for the first time since she was inaugurated as chief executive on Saturday. During her campaign, she pledged to spend an additional HK$5 billion per year on education, and told reporters on Monday she had formed a consensus with the education sector on how to spend the funds. 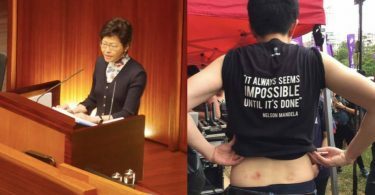 On Wednesday, she proposed providing a HK$30,000 subsidy to every student studying for a self-financed undergraduate degree in Hong Kong every year. The subsidy would be provided without means testing. For every Hong Kong student studying for an undergraduate degree in mainland China, HK$5,000 would be provided each year. According to the Education Bureau, around 6,700 first-year students were accepted onto self-financed undergraduate programmes in Hong Kong between 2015-16. Around 17,600 students were accepted into publicly-funded programmes, mainly those subsidised by the University Grants Council (UGC). While most local students pay HK$42,100 per year for UGC-funded undergraduate programmes at Hong Kong’s eight major public universities, fees for self-financed degrees in some smaller institutions can rise to over HK$100,000 per year. “I predict that around 39,000 students will immediately benefit [from the new measure],” said Lam. During a subsequent question and answer session, pro-Beijing legislator Regina Ip questioned whether Lam’s subsidies would overly benefit mainland and overseas students, given that the number of local students in some self-financed programmes is decreasing. She also asked whether higher education institutions would develop courses of questionable quality in order to boost student numbers. Lam replied the subsidies were only available to students who passed local secondary school examinations – therefore non-local applicants would not be eligible. “We shouldn’t label the [self-financed institutions] as ‘schools of poor quality’, they call themselves ‘schools at a disadvantage’, because the government hasn’t provided them with regular subsidies,” she added. During her LegCo speech, Lam also said she wished to increase the ratio of classes to teachers in public primary and secondary schools by 0.1, beginning in the 2017-18 school year. She said as an example that a school with 30 classes could hire three more teachers. 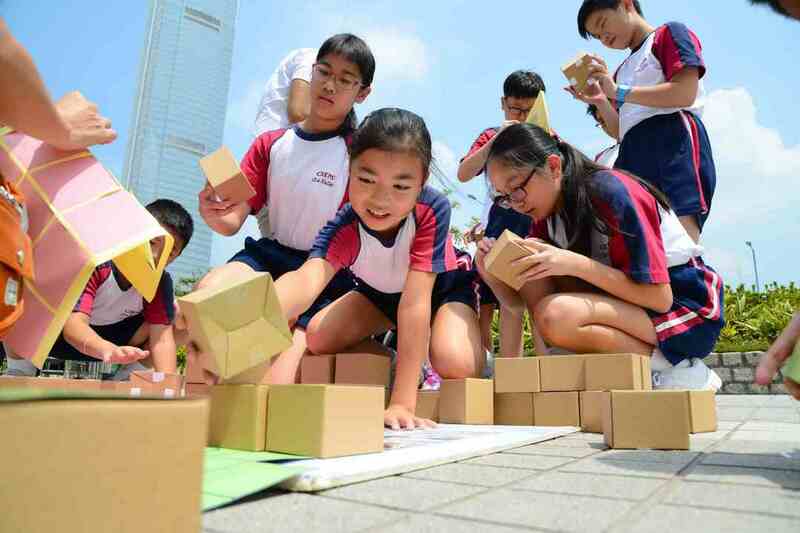 She proposed committing to a pilot scheme currently in place, whereby course coordinators for special needs students have been introduced into schools across Hong Kong. However, Lam said she will need more time to develop standardised salary levels for kindergarten teachers – a suggestion she made during her campaign. 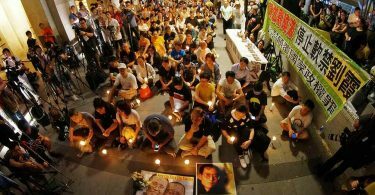 “The aforementioned proposals involve around HK$3.6 billion per year in regular expenses,” said Lam. 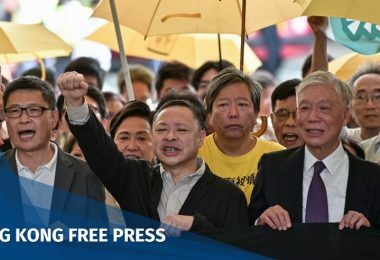 She told reporters on Monday that she would only announce the short-term uses of the HK$5 billion pledge, while medium- and long-term proposals have not yet been developed.